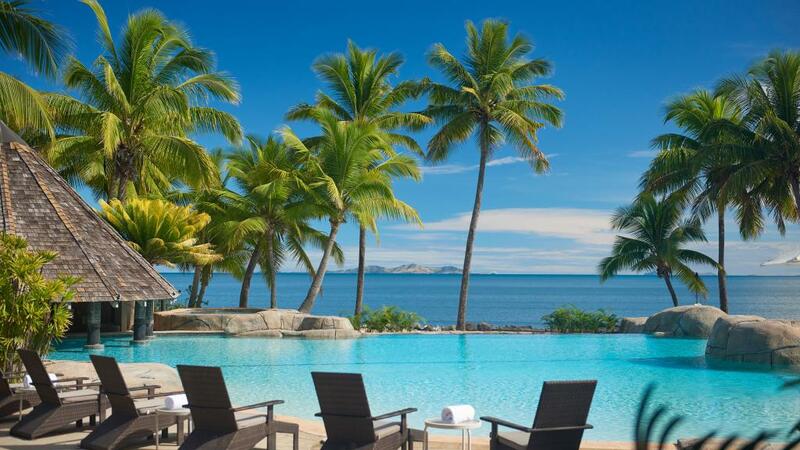 Located on Fiji's Coral Coast just under 30 minutes from Nadi Airport, DoubleTree Resort by Hilton Fiji Sonaisali Island is a brand new Fiji resort open from June 2016. 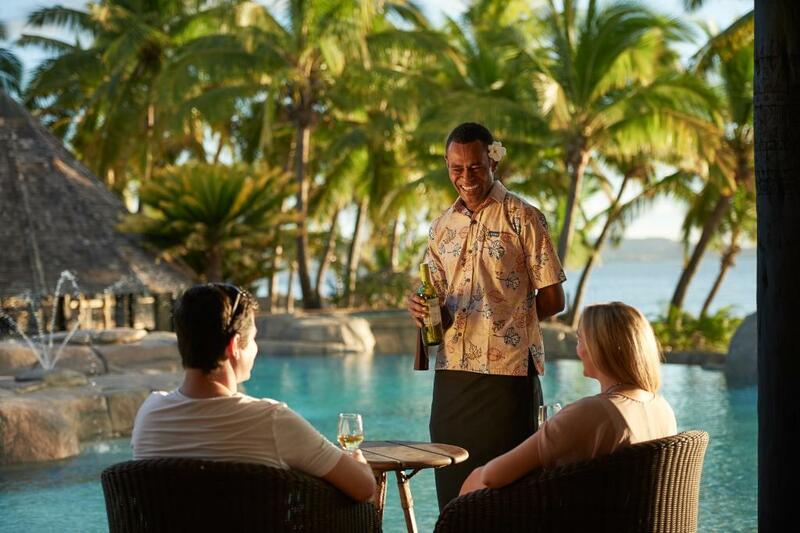 A fantastic place to base yourself on your next Fiji holiday, you can be among the first to experience the almost endless array of onsite facilities and activities, while enjoying the crisp and freshly styled accommodation. 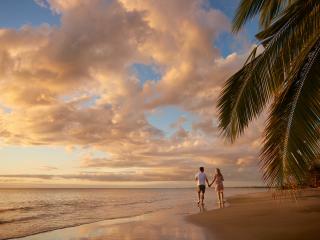 Stroll along pristine beaches, relax by the pool with a cocktail, explore local and cultural attractions or soak up breathtaking South Pacific sunsets - at DoubleTree Resort by Hilton Fiji Sonaisali Island you can do as much or as little as you like. 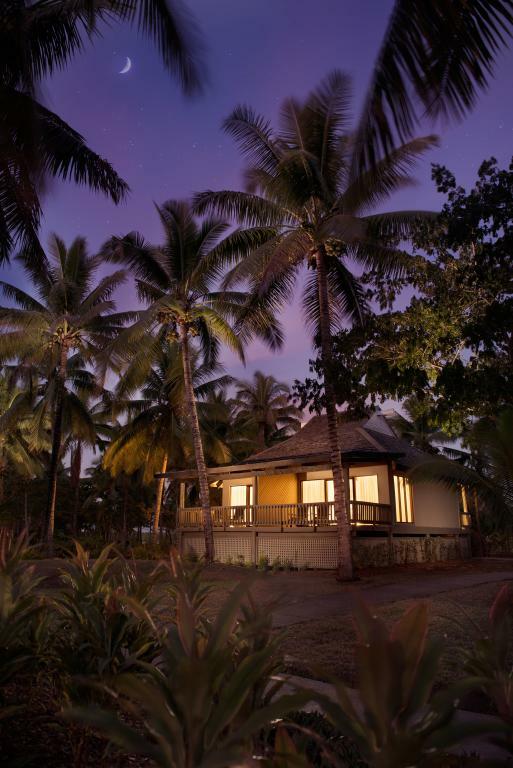 Guest rooms at DoubleTree Resort by Hilton Fiji Sonaisali Island combine traditional Fijian touches with contemporary space and design, emanating a unique yet intimate atmosphere. Each room features air conditioning, a private balcony or patio, HD Smart LCD TV with Satellite channels and WiFi internet access. For those travelling with children, the Double Queen Guestroom Beachfront and Double King Ocean View Bure features enough space and bedding to cater for the whole family. 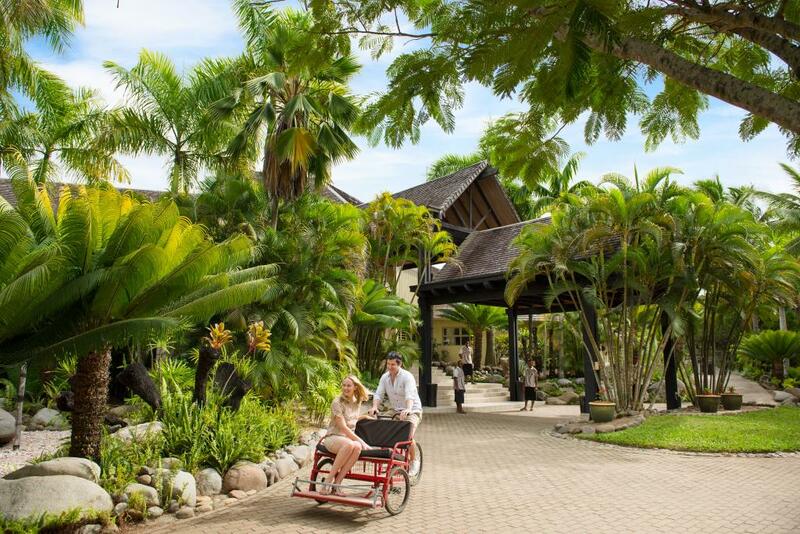 Ideal for couples and families with both young children and teens, DoubleTree Resort by Hilton Fiji Sonaisali Island is nestled among 105 acres of lush tropical gardens and soft sand beaches. 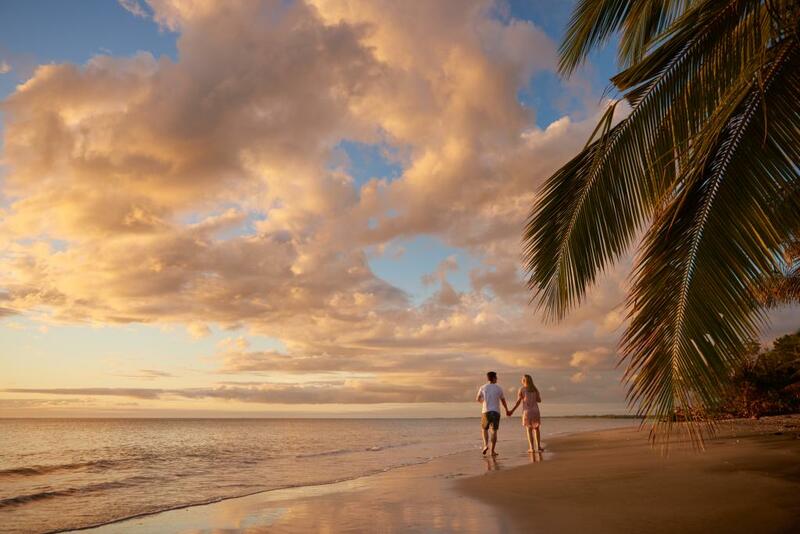 An idyllic island escape just 3 minutes by boa from the main island of Vitu Levu, the resort enjoys a convenient location surrounded by natural beauty and an outstanding range of facilities. The resort features a relaxing infinity lagoon pool overlooking the ocean as well as a number of bars and restaurants, a beauty salon and day spa, gift shop, jogging track, fitness centre, business centre and tour desk. The kids will love the fantastic range of games and activities including a playground and complimentary kids club, while the more adventurous will enjoy water sports and activities including wind surfing, jet skiing, snorkelling, horse riding and even paint balling. 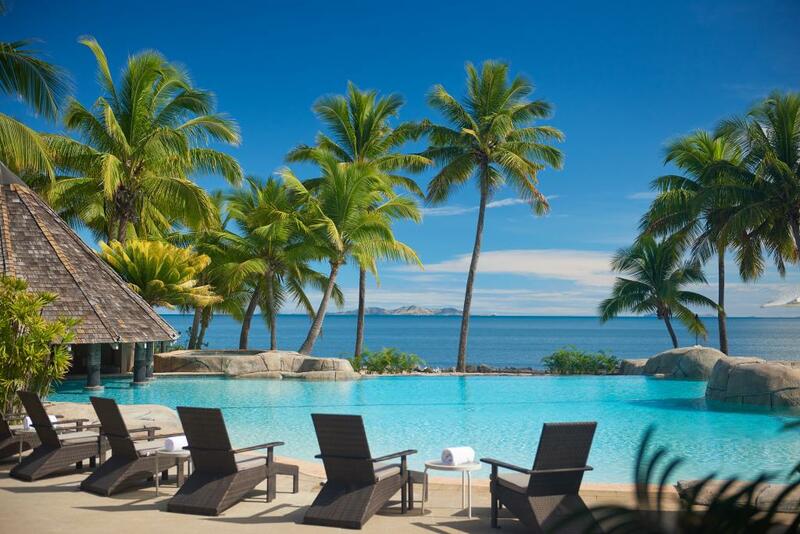 DoubleTree Resort by Hilton Fiji Sonaisali Island offers a choice of 120 relaxing, freshly styled guest rooms and suites with spacious interiors featuring stunning garden and ocean views, Sweet Dreams by DoubleTree beds and all the latest in technological amenities. Double Queen Guestroom Beachfront: Offering a balcony or terrace, guests can request a ground floor room by paying the additional supplement. Bedding is 2 Queen Beds. Maximum capacity is 2 Adults + 2 Children. King Ocean View Bure: Bedding is 1 King Bed. Maximum capacity is 2 Adults + 1 Children. 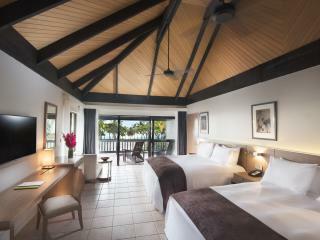 Double King Ocean View Bure: Bedding is 2 King Beds. Maximum capacity is 4 Adults & Children. 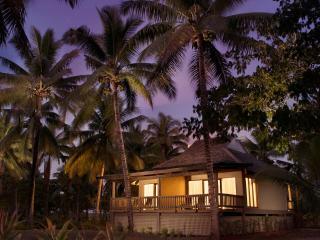 King Premium Beachfront Bure: Features unobstructed ocean views. Bedding is 1 King Bed. Maximum capacity is 3 Adults & Children. 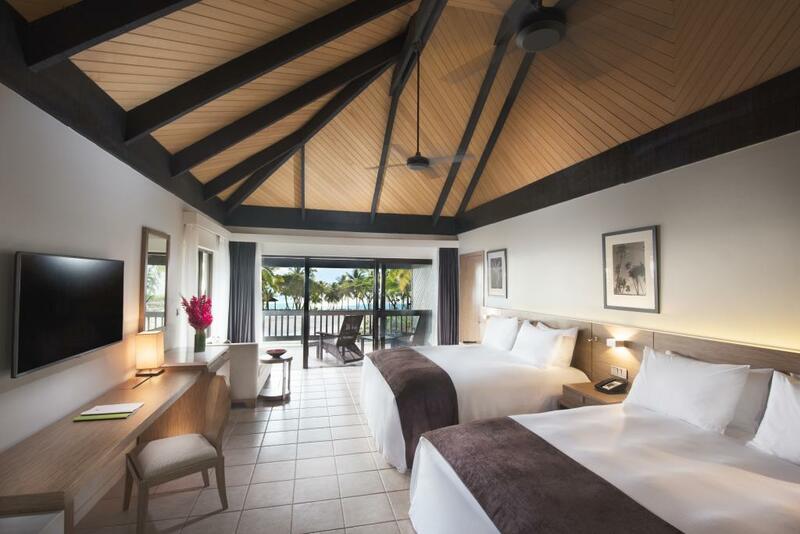 Double King Premium Beachfront Bure: Features unobstructed ocean views. Bedding is 2 King Beds. Maximum capacity is 4 Adults & Children. 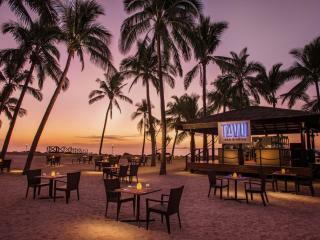 Tavu Bar & Grill: Enjoy the poolside ambience and sea views along with fresh salads and BBQ fare. Open daily 12 noon to 10 pm. Vulani: Serving breakfast, lunch and dinner Vulani offers a range of cuisine from buffet style to a la carte. Open daily 6.30 am to 10 pm. 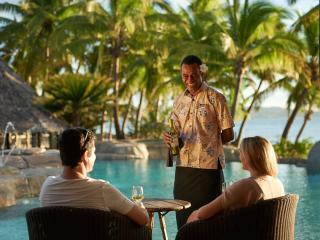 Lounge Bar: Relax after a day of touring or watersport action with a cool drink in hand overlooking the pool and ocean. 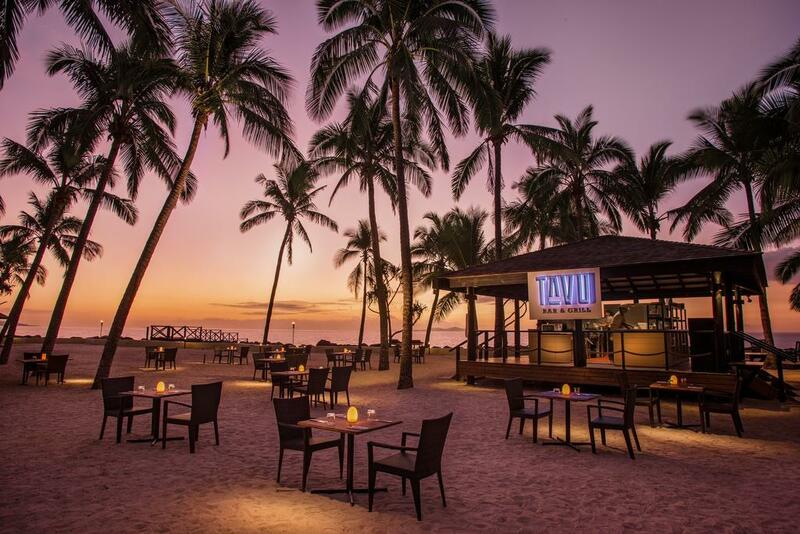 Choose from a great selection of cocktails, wines, beers and snacks. Open daily from midday. Village Deli: Open daily from 6.30 am to 9.00 pm this is the ideal place to grand a quick snack, sandwich, ice cream, smoothie or tea & coffee whilst overlooking the ocean and pool. The Spa: Relax and feel rejuvenated with a decadent range of spa treatments and therapies in this luxurious and pampering day spa. 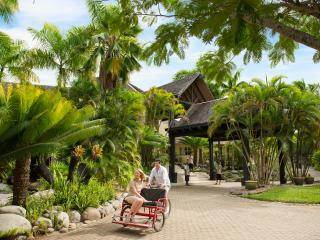 Kids Club: Open daily from 10 am to 9 pm, children 3-12 years of age will enjoy an exciting and entertaining range of supervised activities at the DoubleTree Resort by Hilton Fiji Sonaisali Island kids club.